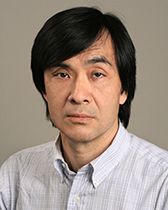 Kiminori Matsuyama's research interests concern international trade and economic growth and development. He is particularly interested in understanding the mechanisms behind macroeconomic instability, structural transformation, as well as inequality across countries, regions, and households. He is a Fellow of Econometric Society. He was the 1996 winner of the Nakahara Prize awarded to the best young economist by the Japanese Economic Association. He currently serves as an associate editor of the Journal of Economic Theory and the Journal of the Japanese and International Economies.